As an evolving DNAvatar, you will find that at times you might want to get some guidance on what is going on with you as well as help with your directions. There will be various levels of courses available and it can be helpful to know which one might be better for you to engage with on your next step. You can also reach out at anytime to ask for additional guidance. The more we get to know each other through the various courses that you take, the easier it will be for me to help guide you towards your next steps. I will keep up with your progress throughout the various assignments and your responses, but you can also email me anytime to expand on that information. Use the Contact Form on this site or if you have my email, you can use that directly. 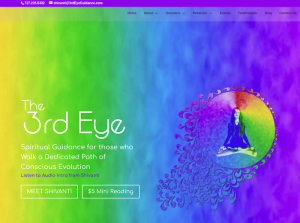 In additional to general support, I also have a more extensive Spiritual Guidance support website called The 3rd Eye. At this site, I offer DNA Activation support, Chakra Readings, Aura Portraits, Pastlife Readings, Shamanic Journeying and Spiritual Guidance. At some point, as you get more dedicated to this journey you may consider starting out with a Spiritual MRI, which consists of all these sessions above. It is an extensive series of sessions that will really help you understand more deeply about where you are on your current journey, what is blocking you most and what would be most important to focus on moving forward. NOTE: If you are also a Patron of ours on our Patreon page, you will get a 25% discount on these services.